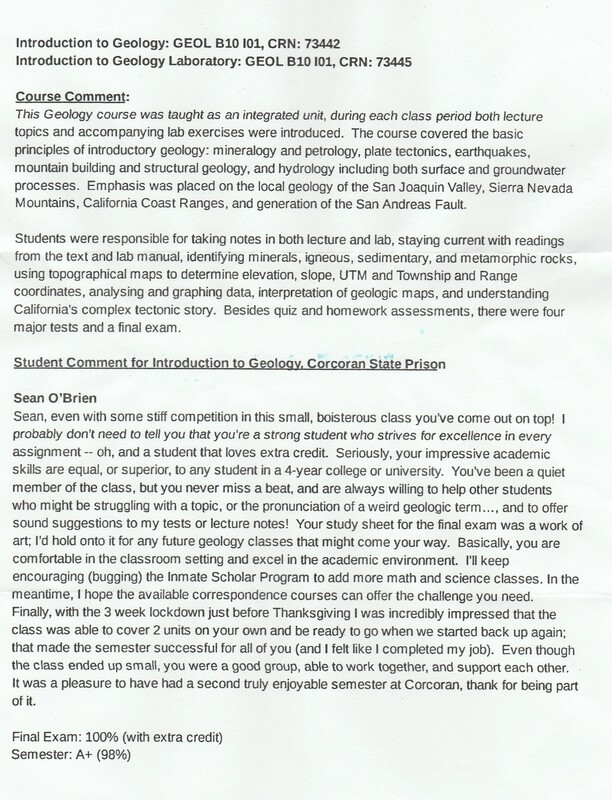 Sean’s Geology Professor wrote him the above chrono. A chrono is essentially a letter of recommendation that goes into his file and can be used to show judge of character for parole hearings or anything having to do with his case. I am so proud of him for working hard to get good grades in his classes, he is closing in on his goal of achieving his Associates degree in two fields of study. “We are in prison, we are supposed to do illegal things.” That was a statement I recently heard another man say as he walked past me in the prison day room. I still find such an attitude shocking, even though this is not an uncommon frame of mind amongst the prison community in which I live. 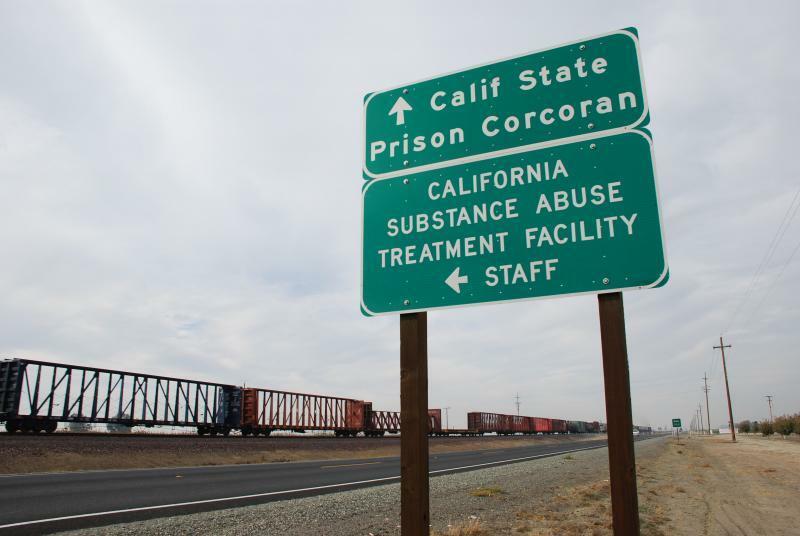 Even with California Department of Correction’s public campaign claiming their move towards rehabilitation in response to the passage of Proposition 57 two years ago, many inmates fail to embrace the opportunities available- if and when they are available. And too many inmates do not have a desire for rehabilitative change. From my observations, it seems many inmates view prison life and criminal activity as a rite of passage or a badge of honor. Even when presented with real opportunity for change, some individuals take pride in continuing their illegal activity and criminal lifestyle behaviors. I have personally seen men with opportunities for early release or reduction of their sentence under new laws continuously jeopardize their freedom by choosing drugs and alcohol over sobriety. One such individual was accepted into an early release program after spending 17 years in prison, only to be returned to prison less than 2 weeks into the program due to a dirty drug test. Having had my freedom unjustly taken from me, it is hard to see so many men disregard the opportunities they are given. Especially because I know I would embrace those opportunities wholeheartedly and succeed. On a regular basis I see parole being given to men who are still using drugs, participating in illegal activities, and doing absolutely nothing to better their lives. If these men cannot remain sober or refrain from criminal activity in prison, they have no real chance of success upon release. What I find most difficult to understand is that many of these men have no desire to change. I personally know an individual who under two new laws which recently passed, is eligible to be resentenced. Currently this individual is working on obtaining a resentencing hearing that he will most likely receive. Under the new laws this individual will be eligible to be released with time served or if the judge denies his request for a lesser sentence, the judge may reinstate the original sentence; which is up to life in prison. With such an opportunity available to this man I cannot understand why he continuously jeopardizes it. This man regularly drinks alcohol, uses illegal substances, and participates in criminal activity in a way he practically wears as a badge of honor. A single disciplinary infraction for any of his illegal activity would likely mean the denial of being resentenced. He is aware of this, yet his actions are loud and clear; he does not care. He prefers to drink and get high rather than fighting to be a better man in order to go home to his family. Besides myself, I have seen some men make the right choice and rise above the negativity that abounds in prison. Men like us stand out within the prison walls. Everyone within the prison community recognizes who we are and generally gives us a level of respect not otherwise shown. I knew a man who served 29 years in prison on a ’15 Years to Life’ sentence who spent too many of those years involved in everything negative about prison; drugs, violence, gangs, and went to the SHU for over a decade (Segregated Housing Unit, where inmates go to be punished for not following the prison rules). Then one day, this man realized he needed to change. He decided prison would not define who he is and he spent the next decade redefining himself. For this true life change he was granted parole and is now a free man. Nearly a year later he is still spoken of with respect on the prison yard, not for who he was but for who he became and what he accomplished. I see the culture of prison and the behavior of those around me; I do not understand why anyone would continue a lifestyle that will keep them in prison. Or worse, return them to prison upon release. 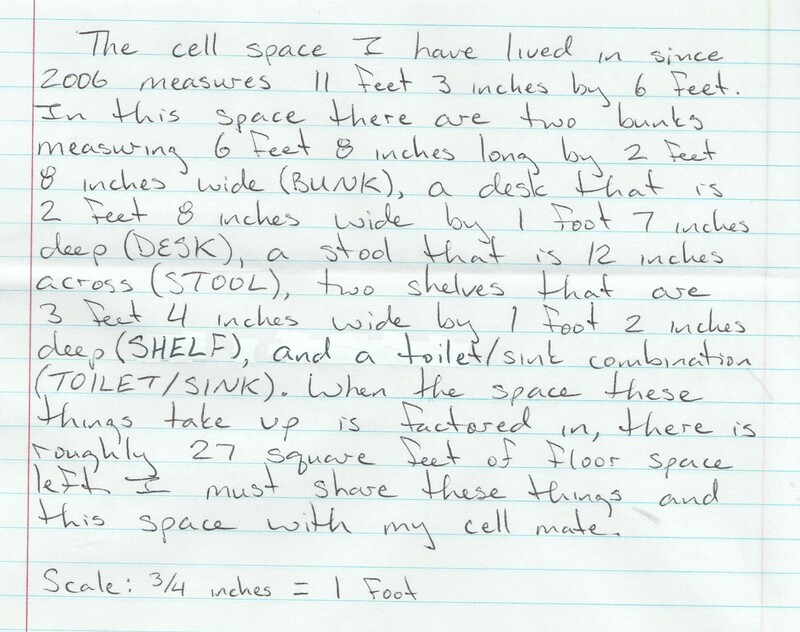 I strive every day to follow the rules in prison in order not only to avoid the consequences of breaking the rules but primarily because nothing within my control will prevent me from going home to my family. Family Visit: November 3, 2018. Sean and I stood together at the fence line outside our Family Visit unit. 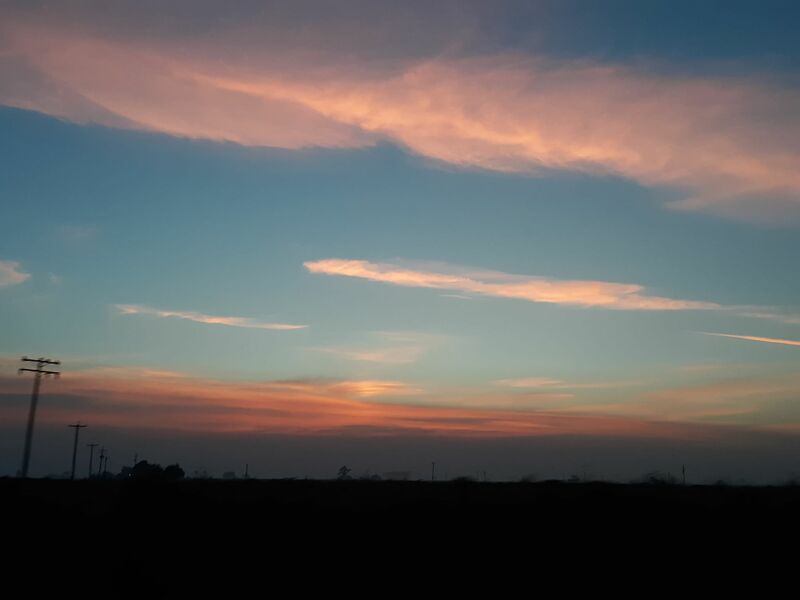 The sun was setting with vibrant pink hues bouncing off the clouds on the horizon in front of us. The air was still and quiet. As we watched, we munched on ice cream sandwiches we had just made. Ok, not so much munched as drizzled and dripped with the warm gooey cookie mixed with melting vanilla ice cream. It was absolutely blissful. Sean made a silly joke and I nearly choked from laughing so hard. We finished our treats, smiling and enjoying the sunset. Then he made another joke, assuming I could not ‘get him’ as I was holding our plate and spoons. But to his surprise I dropped everything I had from my hands to chase him around the dry grass and tickle him. We howled with laughter echoing off the cement walls. It would end up becoming a memory we held onto for weeks to come. 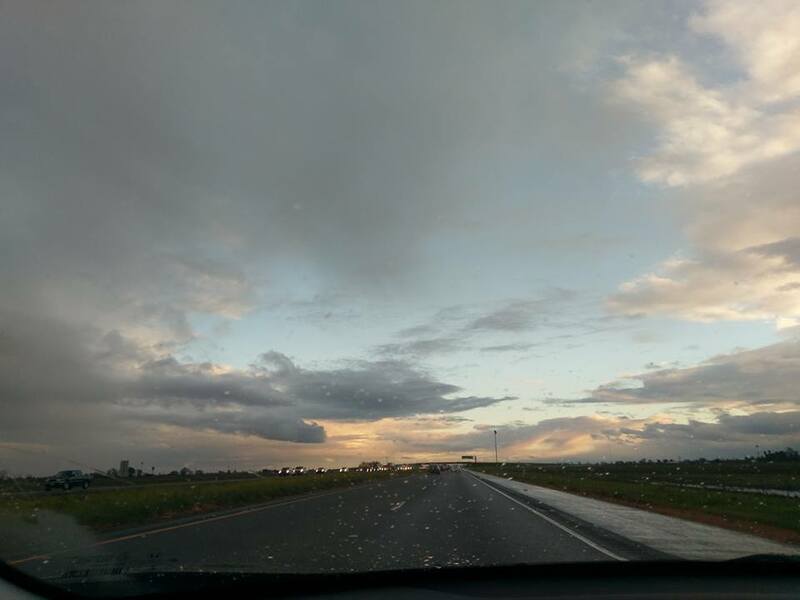 The last day of our wonderful Family Visit was painful as always and I looked forward to his usual phone call on my drive home or once I had arrived, to let him know I had made it safely. But his call never came. 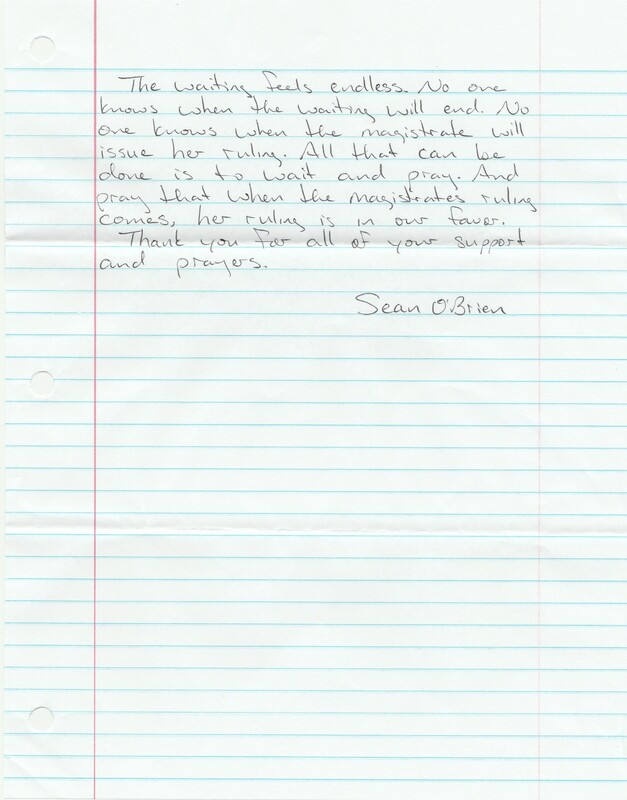 As soon as Sean had gone back into the prison he was put on a prison-wide lockdown and was unable to call me for 17 days. But at the time we no idea how long it would last. From his letters, I could tell he wasn’t doing well with the lockdown so I came for a sunrise visit the following Saturday, November 10th. He was relieved and tearfully happy to see me and we had one of the best regular visits we have ever had. As I drove back home, the smoke from the Northern California Fires, including the Camp Fire, became thicker and the sun appeared red and angry in the sky. Before reaching Sacramento, I stopped at a Walmart to buy N-95 masks. When I came home, it was barely recognizable. Gray grainy smoke blocked out the sun, it’s smell was inescapable. The smoke would end up forcing everyone to stay inside as it blanketed our skies for more than 12 days. The air quality became hazardous, no one could step outside without wearing the n95 masks, and even then it was recommended not to go anywhere. I was on my own kind of lockdown. A sense of urgency and chaos took root, the fire department ran out of the free masks they had been providing. Stores changed their entrances in an attempt to keep the smoke from getting inside. Public schools closed early for the holiday on November 16 due to the smoke. It felt scary, I’ve never experienced anything like it. While this was happening, Sean had no idea because of the lockdown in place at the prison. The local news channel in his area didn’t show what was going on here and my letters took a week to reach him. In an unfortunate turn of events, I developed bronchitis and a sinus infection from the smoke and was too sick to go visit Sean for Thanksgiving as we had been planning. By the time his phone calls started up again and the rain came to wash everything clean, the serious damage had already been done. We were then faced with spending Thanksgiving weekend painfully separated by the distance and sickness. I have been visiting Sean in prison at Corcoran for over 5 years now, so I have had a lot of time to get to know the area. The town of Corcoran is very small, and vastly different in comparison to what I am used to from living in Northern California all my life. Corcoran is not a place anyone would choose to go if traveling for just fun, so that presents an interesting dynamic. 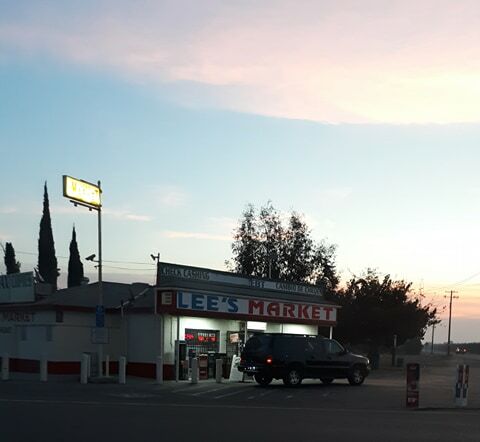 It is not a place many people have heard of, nobody ever knows what I am talking about, I have to tell them it’s between Fresno and Bakersfield. 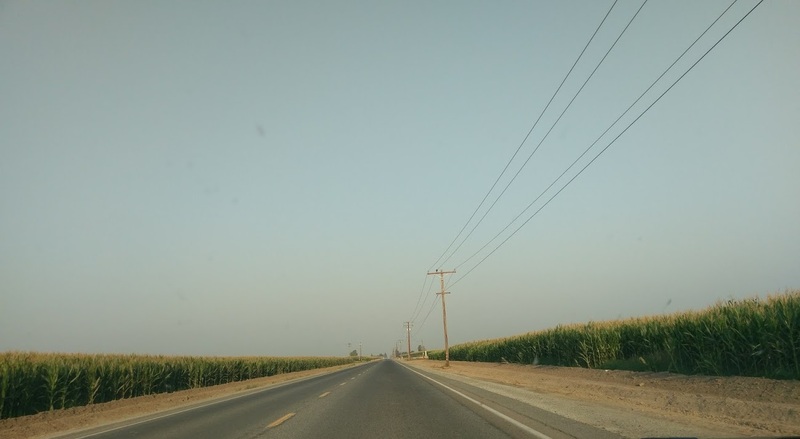 The first time I traveled to Corcoran what stuck me most was the smell of cow manure. At times it is so strong that I can just about taste it, the pungent air scratches my throat. Sometimes it’s barely noticeable, and my brain only registers it when I first arrive. Sean says he barely notices it anymore, that he might smell it if the breeze is just right, but it doesn’t bother him. Then there is the fog. In the cooler seasons, there are often large patches of dense white fog hoovering about a foot above the fields like a strange ghostly cloud. In the winter months sometimes the fog suddenly envelopes my moving vehicle, leaving me in a complete white-out and I am forced to inch my way along the road cautiously until I come out on the other end. The prison even has a specific protocol for foggy days because it is so commonplace and problematic that time of year. They take it pretty seriously because it is a “safety concern”…as if someone could just disappear into the fog. The crops grown in Corcoran are mainly cotton and corn. As I pass by the cotton fields, stray fluff lines the sides of the roads in harvest season. The town holds an annual Cotton Festival to celebrate the area’s biggest crop. 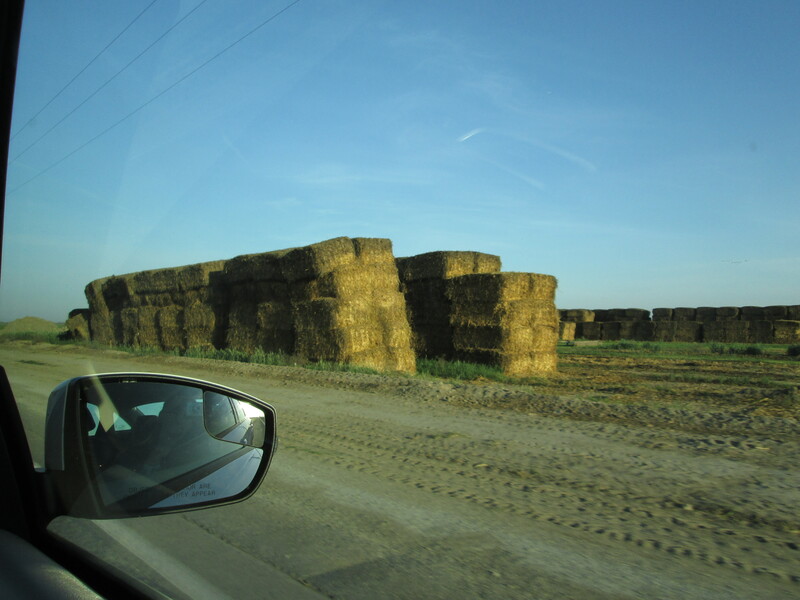 The roads to the prison are bordered by nothing but cotton , hay fields and tall corn stalks. Most of the time I will encounter a large tractor sharing the road with me. The actual town of Corcoran is tiny, even in compassion to the small rural town Sean and I grew up in. I go there to get ice, suppliers or use the restroom when I get out of the prison visiting because it is the closest place for quite a while. We used to have friends living in Corcoran whom I would stay with on long weekend visits and my sleep was always interrupted by the loud trains that roll through. Amtrak passes by many times throughout the day and night as do huge freight trains that seem to go on for miles. We regularly hear the trains from the prison. 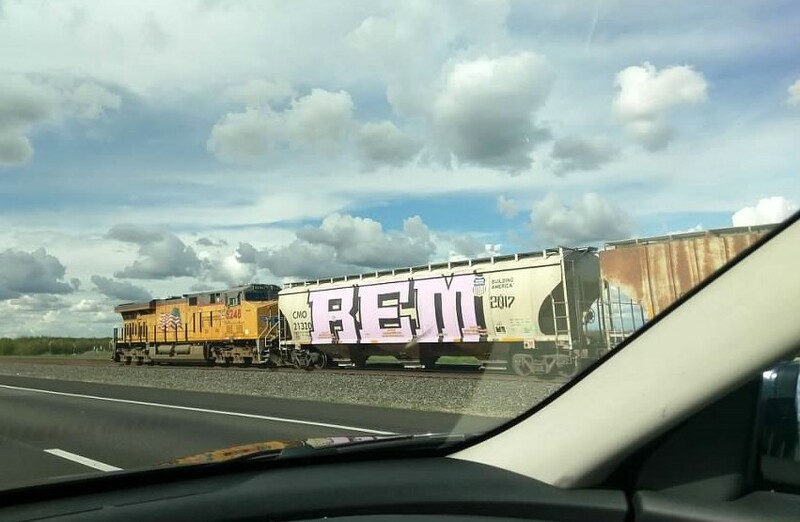 It is commonplace to encounter the trains while driving on long stretches which always puts me in a strange space where it feels as if I am no longer moving, it’s really disorienting. I have been driving by myself to Corcoran for about 4 years now and these days I travel there about once a month, leaving my home at around 3:30 or 4 am. On the long drive as I get closer to Corcoran I can feel my excitement building as the telltale signs slowly start to appear. 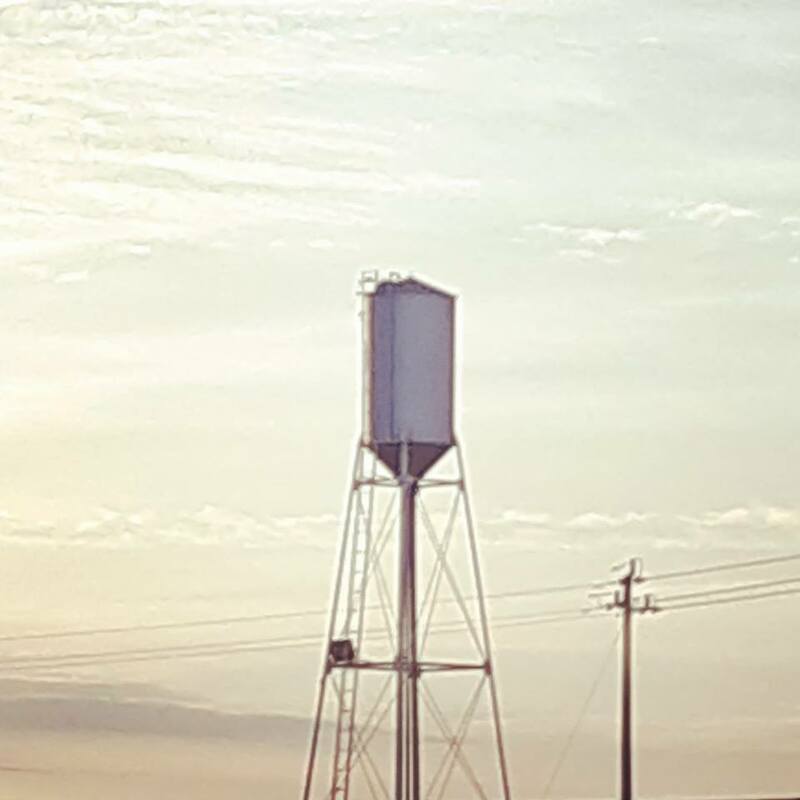 The sun rises, and the day begins with hay bales, giant tractors, old run down farm houses, barns and tiny road side markets. Despite being a pretty insignificant blip on the map in the middle of nowhere, Corcoran holds a lot of special meaning for Sean and I. We have so many memories there. We have spent countless hours at regular visit and Family Visit (46 hour visit), it would be impossible to try to calculate how many. It is where we fell in love, had our first kiss, got married, where we spend our time and live out our lives. It is a place where we have shivered in the cold and sweat out the immense heat together, where we have struggled and overcome, where we have slept and dreamed together. It is a place of pain but also great happiness. It is my other home, the place where we get to be together. 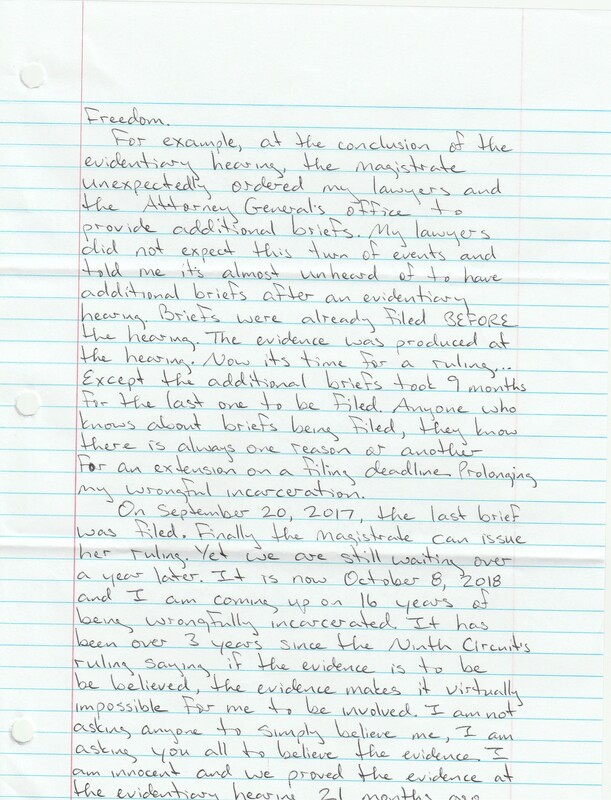 Based on this ruling there was hope I may have my rightful freedom restored within months; that I would soon be home. Then the reality of our broken legal system sank in. The Evidentiary Hearing was not held until January 17 and 18, 2017; over a year after the Ninth Circuit’s ruling. My case always seems to be plagued with one delay or another; continuously dragging out the fight for my freedom. For example, at the conclusion of the Evidentiary Hearing, the Magistrate unexpectedly ordered my lawyers and the Attorney General’s office to provide additional briefs. My lawyers did not expect that and told me it’s almost unheard of to have additional briefs after an Evidentiary Hearing. Briefs had already been filed before the hearing. 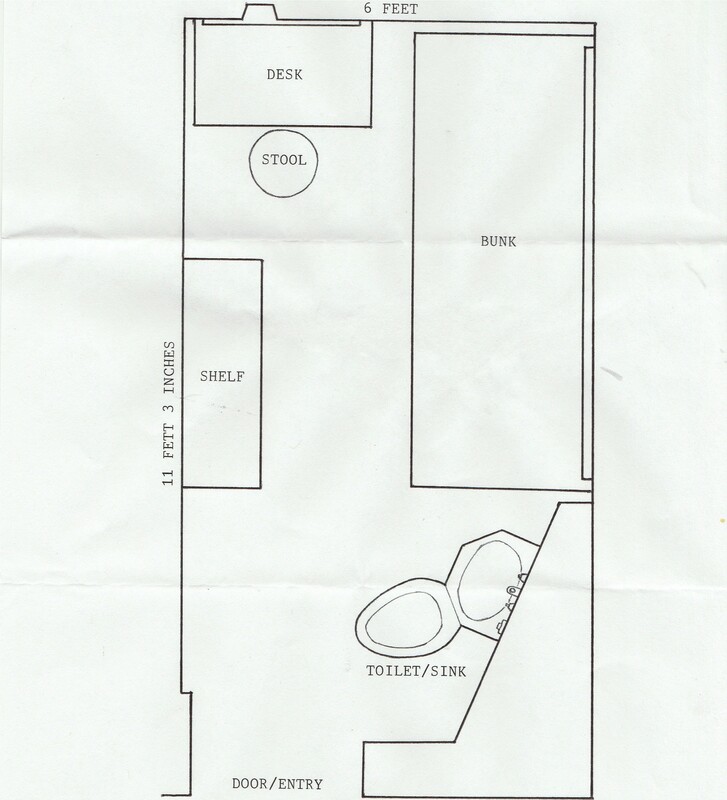 The evidence was produced at the hearing. The additional briefs took 9 months for the last one to be filed. There were several extensions requested on filing deadlines for the briefs, prolonging my wrongful incarceration. On September 20, 2017, the last brief was filed. We are still waiting for the Magistrate’s ruling over one year later. It is now October 2018 and I am coming up on 16 years of being wrongfully incarcerated. It has been over 3 years since the Ninth Circuit’s ruling stating that the evidence makes it virtually impossible for me to be involved in the crime. 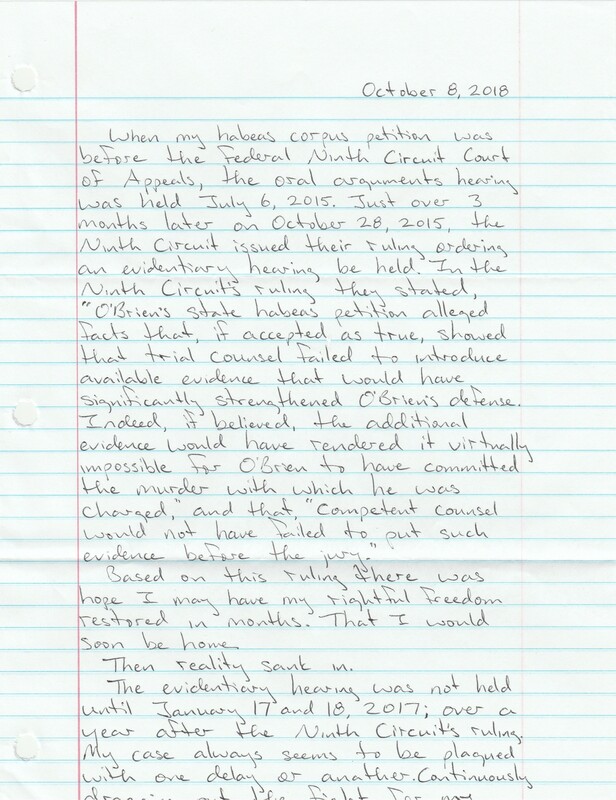 I am innocent and we proved that with the evidence at the Evidentiary Hearing 21 months ago. The waiting feels endless. No one knows when the waiting will end or when the Magistrate will issue her ruling. All that can be done is to wait and pray.